Travel plans and shopping are in the works for a Brampton teacher who’s $1 million richer following a Lotto Max Maxmillions win. 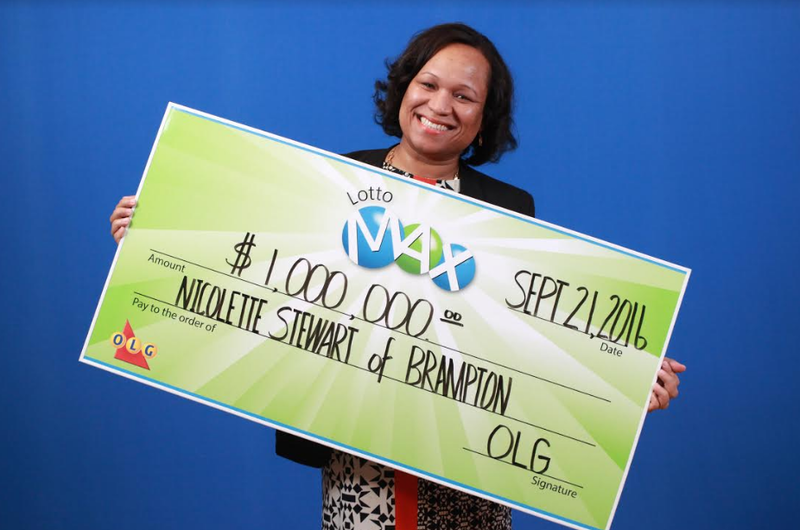 “The evening before I validated my Lotto Max tickets I saw on social media that there was a winner in Brampton,” said Nicolette Stewart while at the OLG Prize Centre in Toronto where she picked up her winnings. Stewart was running errands the next day and decided to check her ticket from the Sept. 16 draw. Stewart says she’ll be paying off her mortgage then packing her bags. “I’ve always wanted to see Greece and Italy. I would love to have a winter home in the south – anywhere really hot. Maybe even a cottage up north. This win is so surreal. For now, I am going to buy myself a well-deserved jewelry set,” she said. The winning ticket was purchased at Hasty Market on Elliott St. in Brampton.